microfibre duster made of sustainable bamboo. 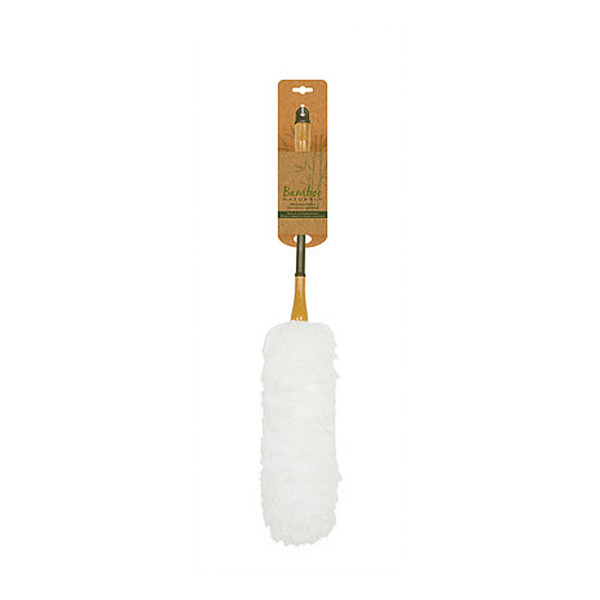 This Bamboo Microfibre Duster is designed or versatile use on large surfaces of in tight spaces. The microfibre head traps and holds dust without cleaning chemicals.